Looking at beautiful and aesthetically pleasing weather, clouds from your home window, feels more relaxed and peaceful. When it comes to the PC, you want the same restful environment which would make you composed. 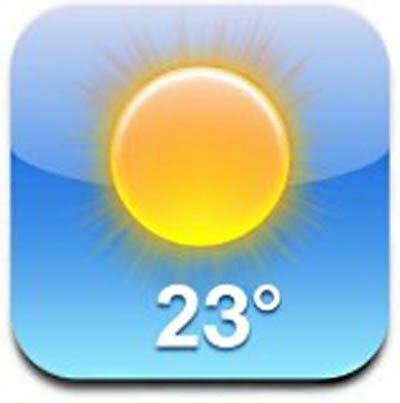 YoWindow is one of the major Desktop Weather Software developed mainly to present lovely landscapes and updated forecast information. This PC tool acts as both desktop widget and screensaver offering 3-day forecast and one animated landscape for free edition. You can download this amazing software for free. But before, we gonna look briefly at its performance and features, which makes this tool #1 in Weather Softwares. 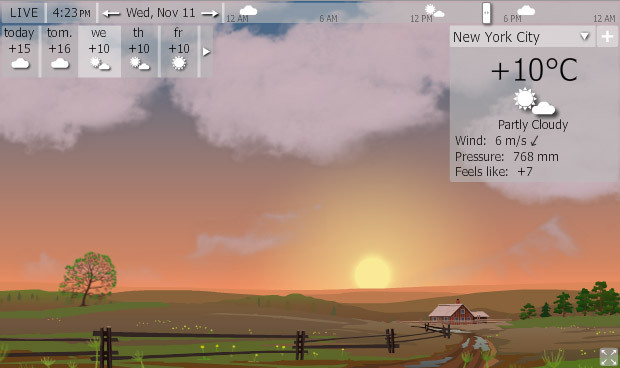 YoWindow is weather widget and desktop tool offers best forecast data we've ever seen. When it comes to YoWindow installation, its easy to setup and fun to use. Immediately after running YoWindow, it suggests for a city name anywhere in the world, a background image, an attractive village landscape that will depicts current conditions. A virtual reality phenomenon is produced to you as the Sun rises in the east and sets as west. Other weather appearances are represented with animations. Lesser number of background images seems not good although the development team is working on more backgrounds. Users can add their own pictures as background images. Set your picture or avatar in background and it appears like you're in the rainfall, or at the time of sun-rise and sun-set. This program displays attractive and stylish graphics with a detail knowledge about the current conditions and even for rest of week days. Finally, YoWindow is worth trying innovative software to inspect the forecast and watching the changing weather conditions. 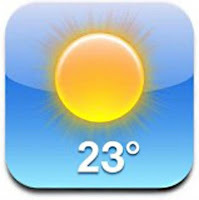 For free users, only 3-day forecast and two favorite locations is offered. Download YoWindow for free or upgrade to full version. Full version provides with more advanced features and options.